My friend, Bernie, was having eye surgery yesterday so I asked her to come to my house last week to pray together about it. 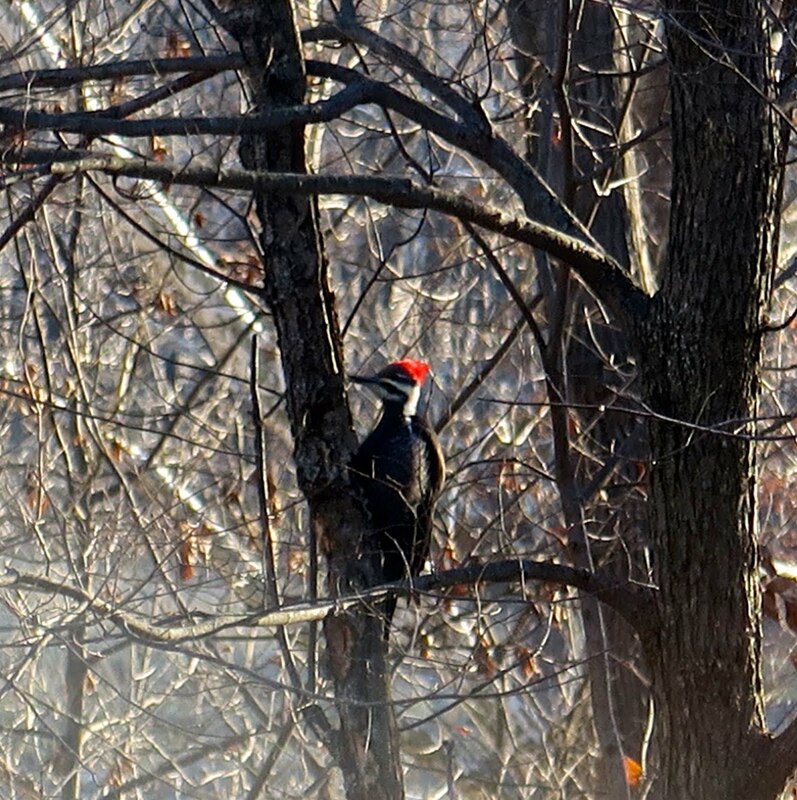 While she was here she commented on the canvas prints I had hanging in the stairwell and said how much she liked the one she had made a couple of years ago of a pileated woodpecker which now hangs in her cabin. She said it is one of her favorite birds and commented she hadn't seen one at the cabin for a long time. I told her I had only seen one in our woods 6 or 7 years ago and none since. When talking with her Tuesday she asked if I would pray for her around 10:30 on Wednesday since that was when the surgery was to begin. 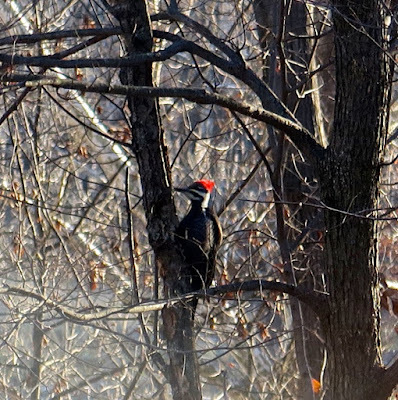 So yesterday morning around 9:30 (Wed.) I looked out the window and right before my eyes was a pileated woodpecker in a nearby tree. I couldn't believe it! I took a photo and sent it to Bernie with the caption, "Look who the Lord sent to remind me to pray for you this morning!" Isn't that amazing? He listens to our every conversation and sends us gifts and surprises to tell us how much He cares! I am in awe! Bernie's surgery went well. She reported no pain yesterday afternoon.